Small restaurants, if they last any length of time, are always super busy preparing and serving meals, pouring drinks and cleaning up the mess. With customers continually coming in and out, a small restaurant owner’s time is at a premium. But when it comes to accounting a restaurant shouldn’t skimp. 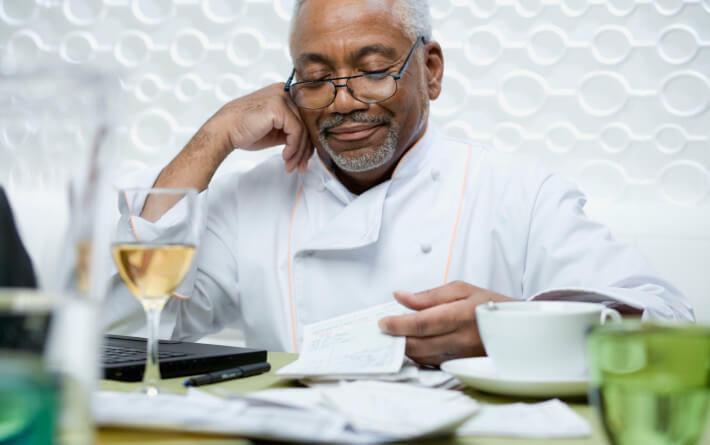 Our helpful hints for keeping accounting records for a small restaurant detail the right way to keep track of your books. As consistently as washing the dishes, a small restaurant must work towards balancing the books. After each shift, day, week or month, a careful analysis of four major categories can save your business time and money. After each shift and after each day, a small restaurant should keep records of its sales revenue. Most cash registers print reports that track sales-tax and food sales in different categories, including entrees, appetizers and beverages. We suggest your business try maintaining a spreadsheet to keep track of sales revenue. You can create categories to compare pluses and minuses across shifts and days and weeks of operation. While keeping accounting records for a small restaurant, record sales tax separately. On your spreadsheet, indicate which payments are cash, debit or credit card. 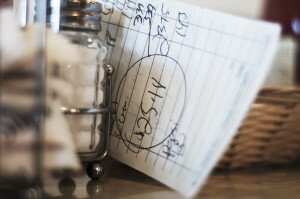 Tracking of sales revenue helps your restaurant make accurate sales tax payments. It pays to track every expense and outgoing payment to properly assess your restaurant’s profitability. Start by recording and filing all sales receipts, invoices, monthly bills, payroll, rent, utilities and other miscellaneous purchases. At the end of each accounting period, you should calculate total expenses. When keeping accounting records for a small restaurant overall expenses can be derived from adding category totals together. Just by subtracting total expenses from total sales revenue you may determine your restaurant’s net profit or loss. Then, your restaurant will have a jumpstart on business tax planning and preparation. It’s important to keep detailed payroll records, because this ensures accurate employment and withholding tax amounts. A detailed payroll record will enable a restaurant to subtract state, federal, Social Security and Medicare withholdings in each pay check. Because most restaurant employees are paid hourly and earn the rest in tips, it makes sense to require employees to report tips on time cards or a separate tip reporting form. It is then the employee’s responsibility to pay income tax on their gross tip amount. When keeping accounting records for a small business remember that many localities and most states have a sales tax requirement for retail businesses, including restaurants. Federal taxes on total profits are also a yearly obligation of restaurants. Other added expenses for restaurants is unemployment insurance taxes, industrial insurance taxes and an employer’s share of Social Security and Medicare taxes. By following our tips and analyzing your profit and loss statement, your small restaurant can be on the path to financial health.